Dr. Vadrevu is a remote sensing scientist at the NASA Marshall Space Flight Center, Huntsville, Alabama. He is also an Adjunct Associate Research Professor at the Department of Geographical Sciences, University of Maryland College Park, MD, USA. His research focuses on using Remote Sensing and Geographic Information Systems (GIS) for physical and spatial environmental geography studies. He has been focusing on remote sensing of land cover/land use changes, human ecosystem interactions and air pollution episodes over the continental US and Asia. His expertise is also on fire ecology and biogeochemistry studies. In the US, he served as a PI and co-I on diverse projects funded by NASA, USFS and USDA, all involving spatial component. His research had been highly interdisciplinary. He is on the Editorial Board of five different journals. He also serves as GOFC-GOLD Fire-Implementation Team Executive Officer and the NASA Land Cover/Land Use Change Program Coordinator. Dr.Rama Nemani is a senior Earth scientist with the Advanced Supercomputing division at NASA Ames Research Center, USA. His research deals with integration of satellite data into simulation models for understanding and predicting the state and function of terrestrial ecosystems. He published on a variety of topics including remote sensing, global ecology, ecological forecasting and climatology. He has received several awards from NASA including the exceptional scientific achievement medal in 2008 and the outstanding leadership medal in 2012. Dr.Chris Justice is a Professor and Head, Department of Geographical Sciences, University of Maryland College Park, USA. 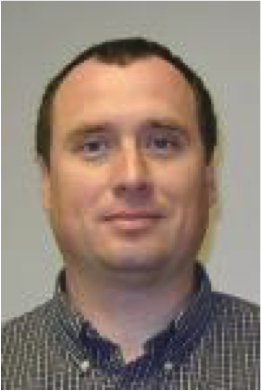 Dr. Justice's current research is on land cover and land use change, the extent and impacts of global fire, global agricultural monitoring, and their associated information technology and decision support systems. Currently, Dr. Justice is a Program Scientist for NASA's Land Cover Land Use Change (LCLUC) Program. He is a member of the NASA Moderate Imaging Spectroradiometer (MODIS) Science Team and is responsible for the MODIS Fire Product. Justice is Co-Chair of the NASA LANCE User Working Group and a member of the NASA Soumi-NPP VIIRS Science Team. He is Co-Chair of the international GOFC/GOLD-Fire Implementation Team, a project of the Global Terrestrial Observing System (GTOS). Dr. Justice is a member of USAID's Central Africa Regional Project for the Environment Program and is the Global Implementation Lead for the GEO Global Agricultural Monitoring Task. 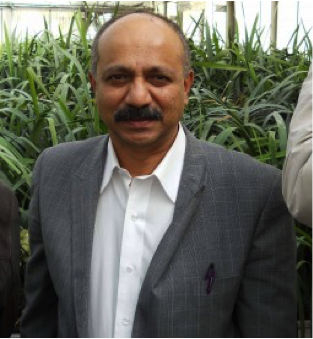 Most recently, he became the Co-Director for the Center for Global Agricultural Monitoring Research. 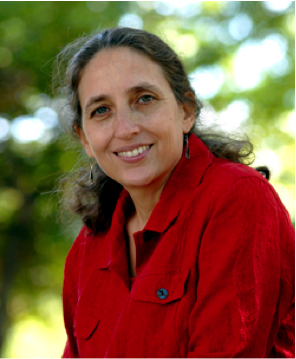 Dr.Ruth DeFries is a Denning Family Professor of Sustainable Development, Department of Ecology, Evolution, and Environmental Biology at Columbia University, USA. Her research examines human transformation of the landscape and its consequences for climate, biogeochemical cycling, biodiversity, and other ecosystem services that make our planet habitable. Her research focus is also on tropical deforestation and its impacts on atmospheric carbon emissions and conservation. Her research analyzes land use changes over broad scales through the lens of satellite observations. She is actively involved in linking scientific information into policy decisions. She is a recipient of the MacArthur “Genius” Fellowship and many other academic awards, as well as author of over a 100 scientific papers related to how people are manipulating the planet and its consequences for humanity. Dr.Karen Seto is Associate Dean of Research and Professor of Geography and Urbanization at the Yale School of Forestry & Environmental Studies. 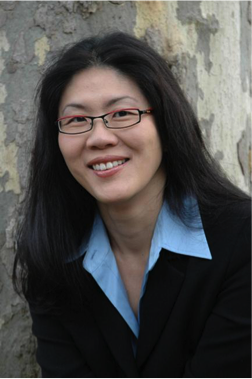 Prior to joining Yale in 2008, she was faculty at Stanford University for eight years. She is an expert in urbanization and global environmental change, urban mitigation of climate change, and satellite remote sensing. Professor Seto has pioneered methods to reconstruct historical land-use with satellite data and has developed novel empirical methods to forecast the expansion of urban areas. She has conducted urbanization research in China for twenty years and in India for ten. She was one of the two Coordinating Lead Authors for the urban chapter of Working Group III of the IPCC Fifth Assessment Report. She has served on many U.S. National Research Council Committees, including the current NRC Committee on Pathways to Urban Sustainability. She is a founder and co-chair of the international project on Urbanization and Global Environmental Change (UGEC), a core science project of the Future Earth initiative. She is Executive Producer of “10,000 Shovels: Rapid Urban Growth in China,” a documentary film that examines urban changes in China. Dr. Prasad S. Thenkabail (Prasad) is Research Geographer with the U.S. Geological Survey (USGS). Dr. Thenkabail has conducted pioneering scientific research work in two major areas: 1. Hyperspectral remote sensing of vegetation; 2. Global Irrigated and Rainfed Cropland Mapping. Prasad has work experience in 25+ Countries including working in key remote sensing research\leadership positions @ the International Water Management Institute (IWMI), International Institute of Tropical Agriculture (IITA), Yale Center for Earth Observation (YCEO), and the Indian National Remote Sensing Agency. He was selected by NASA and USGS as a member of Landsat Science Team Member (2007-20011), and was a scientific advisory board member of Rapideye (2001). 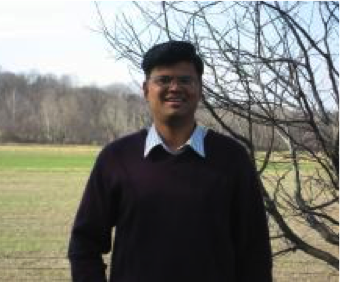 His Bachelor’s (Civil Engineering), and Master’s (hydraulics and water resources engineering) degrees were from Mysore University India and PhD (Agricultural Engineering with remote sensing dissertation) from the Ohio State University. He is the Editor-in-Chief of seminal books (Publisher: Taylor and Francis Inc.): (a) three volume, 82 Chapter, Remote Sensing Handbook (November 2015), (b) Hyperspectral Remote Sensing of Vegetation (2012), and (c) Remote Sensing of Global Croplands for Food Security” (2009). He is the Editor-in-Chief of Remote Sensing Open Access Journal and is on the editorial board of Remote Sensing of Environment, and ISPRS Journal of Photogrammetry and Remote Sensing. 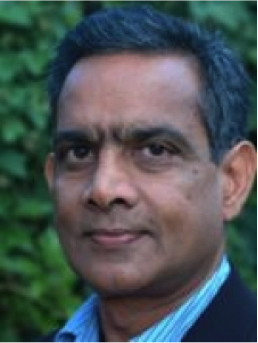 His research papers have won three American Society of Photogrammetric Engineering and Remote Sensing (ASPRS) awards: (a) 2015 ERDAS award for best scientific paper (second author), (a) 2008 ASPRS President’s award (first author), (b) 1994 Autometric Award (first author). Dr.Ivan Csiszar serves as a Branch Chief, Environmental Monitoring, Satellite Meteorology and Climatology Division, Center for Satellite Applications and Research, NOAA STAR. His earlier research focused on atmospheric sounding and on the retrieval of cloud optical and microphysical properties. He has also worked on various issues related to the retrieval of land surface properties. His current primary research interest is satellite-based fire detection and monitoring. He has led several NASA-funded research projects aimed at fire mapping and evaluating fire products and impacts, including products from the Advanced Very High Resolution Radiometer (AVHRR), the Moderate Resolution Imaging Spectroradiometer (MODIS) and the Visible Infrared Imager Radiometer Suite (VIIRS). He has also served on several scientific advisory and review panels for NOAA and NASA. 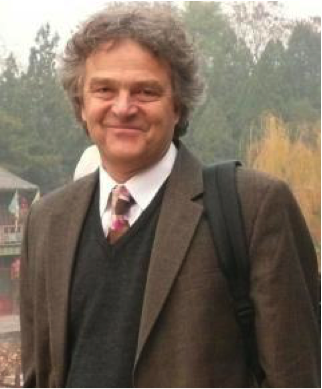 Dr. Csiszar has been an active contributor to the Fire Mapping and Monitoring thematic area of the Global Observation of Forest and Land Cover Dynamics (GOFC-GOLD) program and Group on Earth Observations (GEO). Dr. Dan Brown is a Professor and Interim Dean at the School of Natural Resources and Environment and Director of Environmental Spatial Analysis Laboratory, School of Natural Resources and Environment, University of Michigan, USA. 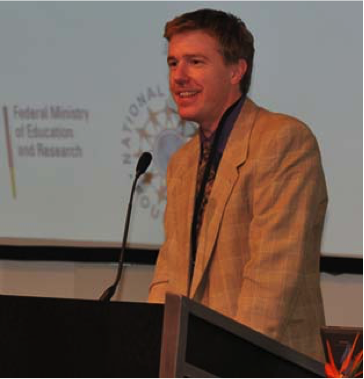 His research focus is on land-use and land-cover dynamics and he makes use of multiple methods, including GIS, remote sensing, social surveys and statistics, and computer simulation. His work has contributed to the development of agent-based modeling as a tool for understanding the spatial dynamics of land use systems. His specific projects focus on the interacting social and ecological aspects of land use and cover change in rural and peri-urban environments, land use and climate vulnerability and adaptation, and spatial and social effects on health. He has published over 100 scientific papers and in 2009 was elected fellow of the American Association for the Advancement of Science. He has contributed the the US Global Change Research Program as chair of the Land Use and Carbon Cycle Science Steering Groups and coordinating lead author of the National Climate Assessment.